As a nation our goal is ubiquitous broadband coverage so every person, regardless of where they live, can obtain the fast, affordable, reliable Internet access necessary for modern times. 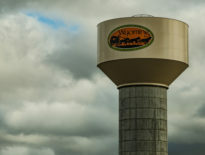 For people in rural areas, where large national wireline providers don’t typically invest in the infrastructure for high-quality connectivity, satellite Internet access is often their only choice. 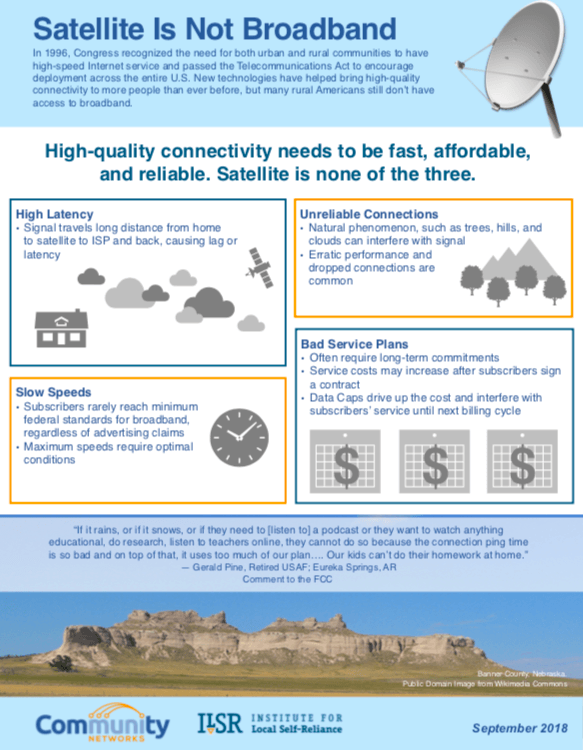 In our Satellite Is Not Broadband fact sheet we address some of the reasons why depending on satellite Internet access to serve rural America is a mistake. Download the Satellite Is Not Broadband fact sheet here. It’s a marvel that science has found a way to deliver data in such a manner, but satellite Internet access is not the panacea for rural connectivity. The technology still faces many shortcomings. Rural residents that must depend on satellite for Internet access pay more and get less. There’s a misguided faction of decision makers who try to describe satellite Internet access as “broadband,” which is patently incorrect. For those who have never used this type of Internet access, especially for an extended period of time, the realities don’t present themselves. This fact sheet lays out many of the reasons why, if we allow satellite Internet access to be the final technology of choice in rural areas, we cheat people who live there. 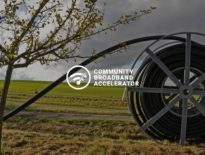 In addition to the negative daily impacts, the incorrect perception of satellite Internet access effectiveness can end or reduce funding for rural wireline projects that will bring better connectivity. Like our other fact sheets, Satellite Is Not Broadband is succinct, accessible, and a strong addition to your efforts to inform policy makers, legislators, and others with limited satellite Internet access experience. Download the Satellite Is Not Broadband fact sheet.